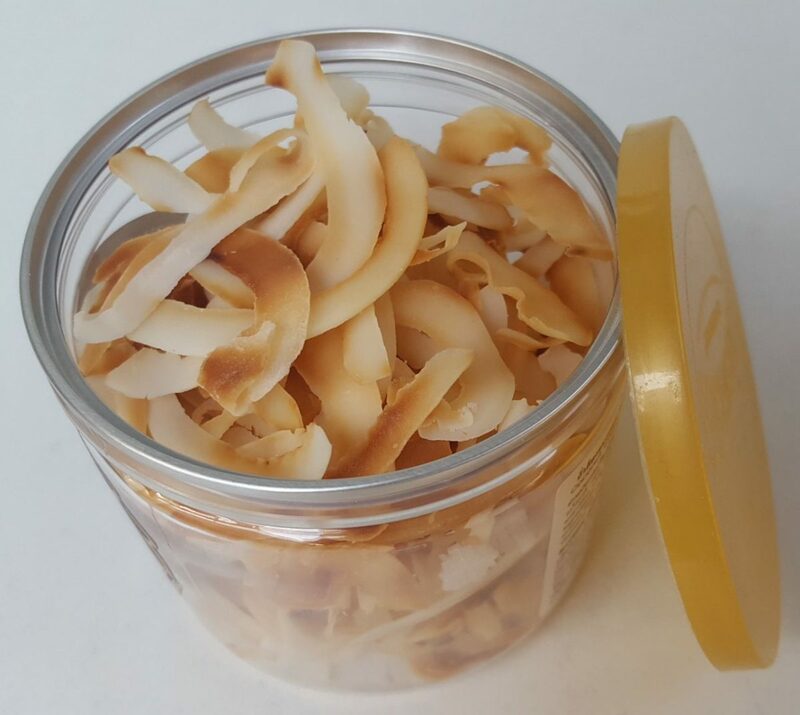 What are coconut chips? Those crunchy nutty bits of coconut meat toasted and flavored with salt and some kind of sugar plus some other seasoning. 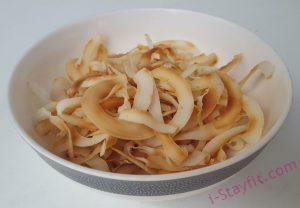 Until recently, I never knew you could make such a tasty snack out of coconut. Growing up in Thailand, coconut is a major part of our diet. Thais use coconut, mostly in the form of coconut milk, in both sweet and savory dishes. I can write a whole post based on the use of coconut in Thai cooking but the one thing that doesn’t exist is coconut chips. The idea is quite a novelty but lately I have seen a few brands of coconut chips being produced and gaining popularity. Dang coconut chips deserves an honorable mention. I have never tried it myself because I don’t live in the US but I’m proud that the products were created by Thai people and have become very successful. On ketogenic diet we will always have to find a good source of fat to meet our daily quota. 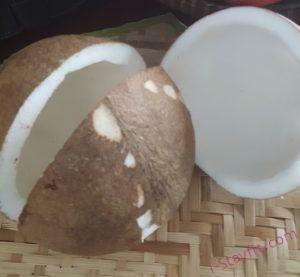 We are lucky here that we can have coconut in many different form for cheap, be it fresh, dried, milk or cream. However, the coconut chips I’ve seen on the supermarket shelf ain’t cheap, even though they were made locally. 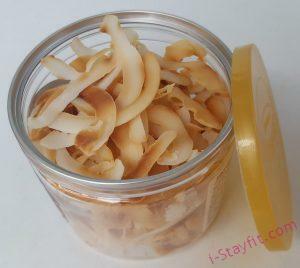 This gives me the idea to make my own coconut chips with my own keto spin. If you’re game, you can try make it from scratch which mean cracking your own coconut and shell it. Then slice it thinly with a mandolin. Believe me I have done it and it’s not as hard as you think. Today I’m going to make spicy chips. We used sliced dried coconut and toasted it in a pan. I know some people would rather toast it in the oven but it took me less than 5 minutes to get it done on stove top. Then we tossed the chips with our secret weapon, spicy mix. If you don’t like spicy, you can make it sweet or savory according to your taste. Fleur de sel (literally salt flower) is the cream of the crop of salt. It's the salt crust forming on the surface of the sea water during salt making process. This will be skimmed out and dried. The reason it's called salt flower is that the salt crystals have flowerlike shapes. This is said to be rich in mineral and has a slight sweet taste which makes an excellent seasoning. Combine all ingredients except coconut flakes together. 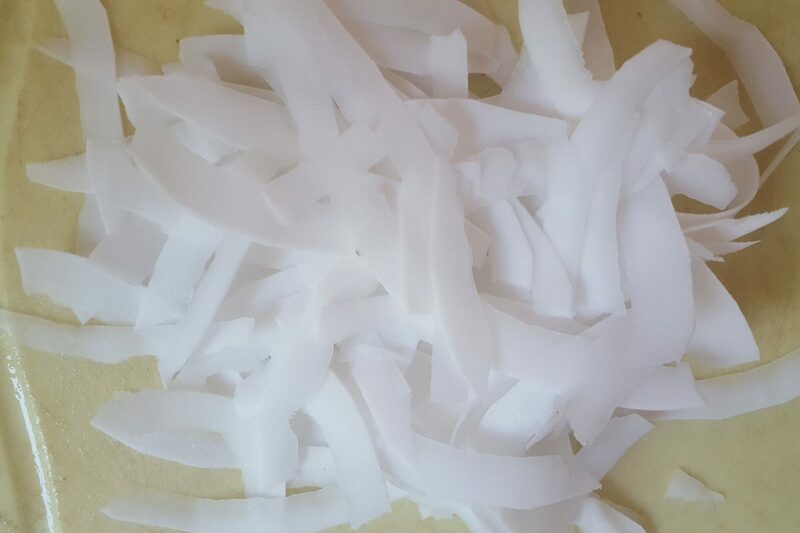 Toast coconut flakes on a fry pan over medium-low heat. Shake the pan every 10 secs to keep it from burning. You need to watch it like a hawk because coconut can burn too easily. Once the coconut starting to turn light brown, drizzle the seasoning mixture evenly over the coconut and toss till evenly mixed. Let it toast on the pan for a minute or so to make sure the seasoning sticks to the coconut and no moisture is left. Chips might be chewy at first. But be patient and leave them to cool then they will become crunchy. Store in an airtight container. If you can't finish it in one day, which I doubt it, keep them in the fridge to keep them crispy. Fleur de sel is cream of the crop of salt, harvesting by skimming out the salt crust that floats on top of the seawater. 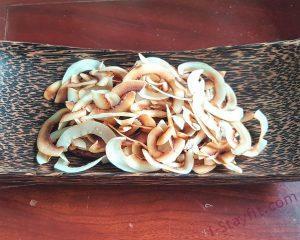 It's said to be rich in mineral and has a slight sweetness to it.